House Of The Dead OVERKILL: Extended Cut Artwork Reveals, *AHEM*, Somewhat More In The European Edition! 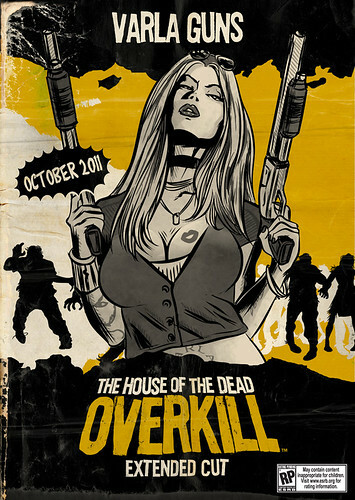 Home » News » House Of The Dead OVERKILL: Extended Cut Artwork Reveals, *AHEM*, Somewhat More In The European Edition! If Urtheart was here he’d make some comment about bewbs. All I can say, is er, spot the difference! And here’s The EU version…. Guns, lots of Guns… Damn those Europeans getting better packshots than us Americans again!